Want more information about the URide Safe® Card? Here are answers to some recent questions that card bearers have asked us. Did you know? Metro Taxi donated the first URide Safe® Card to another one of its Community Partners, the American Red Cross, which used it as a raffle prize for its annual “National Day of Giving.” Proceeds generated by the raffle, along with food, toys and clothing collected by Metro Taxi drivers who volunteered their time, were used for disaster and humanitarian relief efforts. How did the URide Safe® Card originate? What is the meaning of the logo on the card? What University first endorsed the URide Safe® Card? What are the URide Safe® Card's benefits? Why did Metro Taxi choose The Partnership to endorse the card and collaborate rather than another Connecticut non-profit? Can you transfer ownership of the card? If so, how? When replenishing the card, must it be restocked in certain monetary increments? Can the URide Safe® Card be used by someone who is not a college or university student? Q: How did the URide Safe® Card originate? A: The idea was first suggested by Isabelle Scalzi who co-owns Metro Taxi with her husband Bill. Through anecdotal reports by students, Isabelle saw a need for them to have access to safe and reliable transportation at all hours of the day and night. And so the URide Safe® Card was born out of necessity. Q: What is the meaning of the logo on the card? A: The front of the URide Safe® Card bears the logo of The Governor’s Prevention Partnership, the state’s leader in helping to ensure that our youth remain safe and develop as strong, confident, successful people ready to work and contribute to society. The back of the card bears the customized logo of the partnering college, university or academic center. Q: What university first endorsed the URide Safe® Card? A: This fall, the University of New Haven will become the first Connecticut university to provide the URide Safe® Card to parents and students, complementing the shuttle and transportation services already offered to UNH students. Q: What are the URide Safe® Card’s benefits? A: The benefits include the following: a guaranteed safe ride home for students, 24/7; a professional designated driver; peace of mind for parents and guardians; a manageable online account and detailed trip reports; online availability and replenishability; as well as rapid response time and service by calling (203) 777-7777. Q: Why did Metro Taxi choose The Governor’s Prevention Partnership to endorse the card and collaborate rather than another Connecticut non-profit? A: The Governor’s Prevention Partnership is a highly respected, public-private alliance co-chaired by Governor M. Jodi Rell. The organization is focused on youth, building a strong healthy future workforce through leadership in mentoring and prevention of violence, underage drinking, alcohol and drug abuse. Their science-based prevention philosophy paired with preparing the next generation of workers deeply resonates with us. As the state’s largest, full-service taxi company, we’ve been safety conscious, a strong economic contributor and a consistent job provider since 1987. Of our 161-cab-fleet, over 40 vehicles are dedicated to student transportation for special needs children. Additionally, in all 16 Connecticut towns that Metro Taxi serves, The Governor’s Prevention Partnership provides support to Students Against Destructive Decisions (SADD), whose mission is to provide students with the best prevention tools possible to deal with the issues of underage drinking, alcohol, drug abuse, impaired driving and other destructive decisions. All factors combined, The Partnership is a perfect mission-fit with Metro Taxi’s track record for safety and dependability. Both organizations closely collaborate to ensure continuous local support of shared social goals. While in its beginning stages, we already know that we want the community partnership to evolve organically and not be impeded by out-of-state stipulations or governing bodies far removed from our local market. We would like the partnership to grow from local roots and local needs. Q: Can you transfer ownership of the card? If so, how? 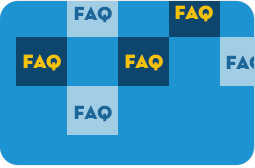 A: With proper authorization from the card holder, we can transfer ownership. Q: When replenishing the card, must it be restocked in certain monetary increments? A: The minimum amount needed to initially stock a URide Safe® Card is $25.00. Beyond that, you may replenish the debit card in any denomination. Q: Can the URide Safe® Card be used by someone who is not a college or university student? Or, does Metro Taxi have debit cards for other uses? A: While the URide Safe® Card was designed for a college or university student, the card is universal and is available to anyone. Metro Taxi offers two additional cash-less cab ride debit cards available for purchase by the general public: The Gift Card and The Metro Charge Card for corporate clients, endorsed by the American Red Cross and designed to offer account billing options. You can see all gift card options on the Metro Taxi website or by calling (203) 934-2096 x124.